You saw the jump in the Olympics, it’s now time to show what you can do at Milton Keynes. How far and high can you jump? The challenge took place on a slopestyle kicker at Snozone Milton Keynes. 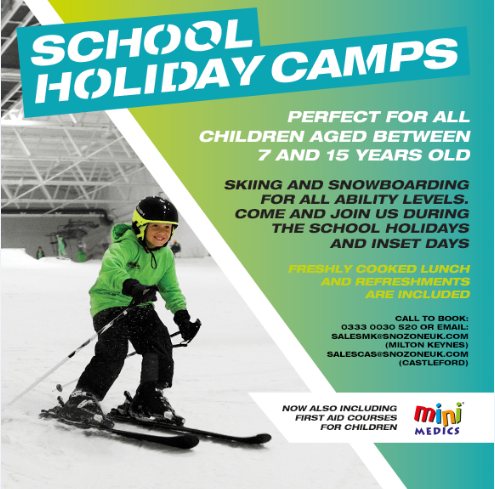 If you are looking to learn, book yourself skiing or snowboarding lessons at Snozone in Milton Keynes or Castleford with a range of individual, group or family lesson options available. If you live near to Basingstoke, visit Skizone for an intense ski or snowboard workout and learn as an individual or as a family. Check out the Skizone website here. Next Next post: Train like an Olympian!